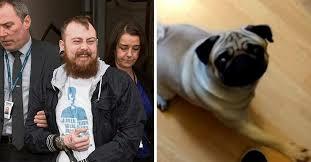 Mark Meechan is better known as Count Dankula, the Scottish YouTuber and self-professed "professional shitposter" who made global headlines when he was brought up on charges for sharing a video where he teaches his girlfriend's pug to make a mock sieg heil when he says lines like "Heil Hitler" or "gas the Jews." A tasteless joke many might say, but an arrestable offense? That's a bit more than a stretch in my opinion. This case pointed out the frightening lengths of Orwellian censorship and thought control. Dankula got some major support during his literal trial and figurative tribulations from UKIP MEP David Coburn. Coburn was vocal and attempted to have the conviction overturned. Coburn announced that "Without freedom to think and speak, even in an offensive way, no matter what our political persuasion, we do not have any freedom at all." Most recently, Dankula took to Twitter announcing that at 10,000 retweets he would join UKIP adding a disclaimer that this was not a stunt or meme. A few hours ago that goal was met and, true to his word, Meechan/Dankula is now officially aligning with UKIP. Dankula has mentioned the possibility of joining UKIP previously. June 2, he mentioned it with his followers seemingly torn between wondering if this was yet another joke, concern or worry, some criticism of the party and UKIP supporters who seemed pleased as punch at the prospect. Scotland's Council Body were even among the 10,000+ Twitterers to retweet. Some commenters have even urged Meechan/Dankula to run for office. If it comes down to it, if it's good for free speech, I am behind it. Doesn't matter if you're a rabid SJW rushing around to shut down speech and thought you disagree with or Richard Spencer (who also has made it clear freedom and free speech are fairly useless in his mind), regardless of your politics, if you oppose the right of free speech and expression I can't stand behind you. As something of a near martyr for free speech, Dankula could be just what the doctor ordered for the UK. Censorship words, then comments then rights. The usual progress of things for Socialists. Well congratulations. You got yourself caught. 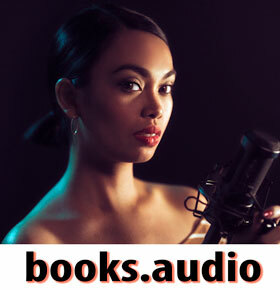 What's next on your "master plan"?